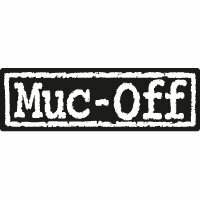 Muc-Off Nano Gel is like Muc-Off Bike Cleaner Concentrate in a refill pouch. This 500ml pouch of Muc-Off Nano Gel can be diluted with water to create 2 x litre bottles of standard strength Muc-Off Bike Cleaner. Can be used neat as a degreaser, say for heavily soiled chains. Fully water soluble and biodegradable. Acid, CFC and solvent free. The bike cleaner of choice of Team Sky's pro mechanics. Muc-Off remains the go-to bike cleaner for most riders: first, because it works so well: second, because Muc-Off continuously develop their formula and keep on top of developments in bike technology. Muc-Off employs nano-tech cleaning molecules which are one-thousand times smaller than you would find in first-generation bicycle cleaners. Nano-tech cleaning agents give Muc-off the power to penetrate and break dirt, oil and grime down to the molecular level, so the muck will be more readily rinsed off with water - minimal scrubbing required. Even after the bike is rinsed and dried off, Muc-Off leaves a protective corrosion-inhibiting surface layer, which protects the finish and makes it harder for dirt to adhere to it on future rides. 'Our relentless R&D team have made our Nano Tech Bike Cleaner that much better by creating a handy refill pouch! It's the same award winning cleaner but in concentrate form! Just one 500ml pouch will make two litre bottles of Nano Tech Bike Cleaner! Re-using is even better for the environment than recycling, and that's what makes the Bike Cleaner Concentrate so amazing. It gets even better. The Bike Cleaner concentrate can also be used as a powerful degreaser in its concentrate form and it really works like a charm in Muc-Off's X3 Chain Cleaning Device! How's that for multi-use? Each Bike Cleaner Concentrate pouch uses 89% less packaging than the equivalent 2 bottles of 1 litre Muc-Off Bike Cleaner. So don't chuck out your old Bike Cleaner bottle; save it and save the planet.